Assistant Professor, Department of Automobile Engineering, SRM Institute of Science and Technology (formerly known as SRM University), Kattankulathur, till date. Faculty Advisor, “Team ENIGMATIC PLODDER” SRM Institute of Science and Technology (formerly known as SRM University) official QUAD BIKE Racing Team, SRM Institute of Science and Technology (formerly known as SRM University), since 2015. Department "Placement coordinator" since 2013.. Certificate course on " Lesson plans in Engineering Graphics" June 2012. Good Shopfloor practices conducted in MS Ramaiah University, Bangalore October 2014. Certificate Course on Advanced Material Characterization conducted in PSG Tech Coimbatore February 2016. 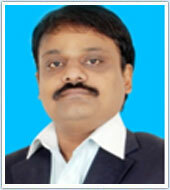 Member in International Association of Engineers (IAENG), 2013. P.Madhavan,D r. P. Malathi, " Effective Path Discovery among clusters for secure transmission of data’s in MANET” , Artificial Intelligence and Evolutinary algorithm in engineering system-SPRINGER, 2014 . P.Madhavan, Dr.P.Malathi," Survey Of Fuzzy Inference Model And Impact On QoS Parameters Using Adaptive Neuro-Fuzzy Inference System In MANET” , ARPN Journal of Engineering and Applied Sciences (ARPN).," 10(7), 2015. P.Madhavan, Dr.P.Malathi ," Survey of Clustering Schemes and impact of Weighted Clustering Scheme for performance improvement in MANET” , International Journal of Applied Engineering Research(IJAER).," 10(34), 2015. V.Sivaranjani, P.Madhavan," CH-SRM-An Effective Mechanism For Cluster Head Selection And Secure Routing In MANET” , International Journal of Advanced Research in Information and Communication Engineering.," 3, 2015. V.Sivaranjani, P.Madhavan, " RPSM- Routing protocols survey in MANET” , International Journal of Multidisciplinary Research and Development"," 2, 2015. Anandkumar.DS, P.Madhavan, " Improving Security to avoid Malicious node for reducing routing overhead in MANET” , International Journal of Computer Science and Mobile Computing,," 3, 2014. P.Madhavan, " Discovering shortest path based on cluster formation in MANET's " National Conference on Information Assurance and Management(NCIAM-14), Pondicherry Engineering College. P.Madhavan, " Discovering shortest path based on cluster formation in MANET's " National Conference on Advanced Computing, Networking and Cyber Security, Sri Ramakrishna Engineering College. P.Madhavan, " Modified P-Coding Scheme for achieving energy minimization in MANET " , National Conference on Communication, Computation, Control and Automation(CCCA-2014), Sri Ramakrishna Institute of Technology. P.Madhavan, " An Efficient Approach for Interactive Content-Based Image Retrieval Using Hierarchical Clustering Technique ", National Conference on Computing, Communication and Information Systems(NCCCIS2012), Sri Krishna Institutions, Coimbatore. P.Madhavan, " An efficient approach for anti phishing and web browsing over DTN in HTTP(S) using PB Proxy ", National Conference on Innovations in Information Technology(NCIIT 2011), Bannari Amman Institute of Technology. P.Madhavan, " DFA Based Fingerprint recognition system ", International Conference on Smart Computing, Pondicherry. P.Madhavan, " DFA based Fingerprint Recognition System ", a workshop on Smart and Secure Environment National Institute of Technology, Trichy. A Patent titled “Remote Medico: An Intelligent Device to track and treat the Dengue Patient of Remote Village” is filed. The system design parts and further relevant information to this work is going on. Associate Professor, Sri Krishna College of Technology, Coimbatore ,2010-2018. Assistant Professor, SASTRA UNIVERSITY, Kumbakonam ,2008-2010. Lecturer, P.R.Engineering College, Thanjavur, 2002-2003. Software Programmer, Vicom Infotech (P) Limited, Chennai, 2000-2001. Guest Lecture on “Data Structures and algorithm” organized by Sri Krishna Institutions on 27th July 2017. CSI 51st Annual Convention of Computer Society of India from 23rd to 25th Jan 2017. Workshop on Network Forensics at PSG College of Technology on 19, 20th of March 2016. Workshop on “End to End Exploration of MATLAB for Image Analysis” conducted at the College of Engineering(CEG), Anna University during 12th-13th Apr 2013. Workshop on Basic Web page Designing with Database Connectivity at Sri Krishna College of Technology, on 3rd Oct 2013. National Level Conference on Excellence in Advanced Computing Technology(EXACT )held on 9th April 2010. Two days workshop on “Writing Effective Conference Paper” organized by IIT Bombay, during 18-19th February 2012. Two days CSIR Sponsored National seminar on “Emerging Issues and Challenges in Cyber Security “at VLB Janakiammal College of Engineering and Technology, Coimbatore during 29th -30th September 2011. One Day Seminar on “Image Mining for Remote Sensing Applications “at Sri Krishna CollegeOf Technology, Coimbatore on 13th July 2012. Participated in the Pre-Conference Tutorial on “Research and Latest trends in Mobile Computing” conducted by Sri Krishna College of Engineering and Technology, Coimbatore held on 8th July 2010. CSIR Sponsored Two Day National Level Workshop on “Internet Engineering and Web Services” on 29th and 30th July 2010. DRDO Sponsored National Seminar on “Security and Privacy Issues in Defense Networks” during 20th Jan 2012, and 21st Jan 2012. Object-oriented Programming, Java Programming, Computer Graphics and Multimedia, Computer Networks, Data Structures and algorithm. P.Madhavan,Dr.P.Malathi," Survey Of Fuzzy Inference Model And Impact On QoS Parameters Using Adaptive Neuro-Fuzzy Inference System In MANET” , ARPN Journal of Engineering and Applied Sciences (ARPN).," 10(7), 2015. 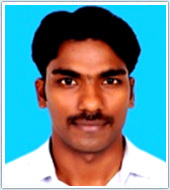 P.Madhavan,Dr.P.Malathi ," Survey of Clustering Schemes and impact of Weighted Clustering Scheme for performance improvement in MANET” , International Journal of Applied Engineering Research(IJAER).," 10(34), 2015. V.Sivaranjani, P.Madhavan ," CH-SRM-An Effective Mechanism For Cluster Head Selection And Secure Routing In MANET” , International Journal of Advanced Research in Information and Communication Engineering.," 3, 2015. P.Madhavan, " Modified P-Coding Scheme for achieving energy minimization in MANET " , National Conference on Communication, Computation, Control and Automation(CCCA-2014), Sri Ramakrishna Institute of Technology . P.Madhavan, " An Efficient Approach for Interactive Content Based Image Retrieval Using Hierarchical Clustering Technique ", National Conference on Computing, Communication and Information Systems(NCCCIS2012),Sri Krishna Institutions,Coimbatore. P.Madhavan, " An efficient approach for anti phising and web browsing over DTN in HTTP(S) using PB Proxy ", National Conference on Innovations in Information Technology(NCIIT 2011), Bannari Amman Institute of Technology. P.Madhavan, " DFA based Fingerprint Recognition System ", workshop on Smart and Secure Environment National Institute of Technology, Trichy . A Patent titled “Remote Medico: An Intelligent Device to track and treat the Dengue Patient of Remote Village” is filed. The system design parts and further relevant informations to this work is going on. Lecturer, P.R.Engineering College, Thanjavur ,2002-2003. Software Programmer, Vicom Infotech (P) Limited, Chennai ,2000-2001. Workshop on “End to End Exploration of MATLAB for Image Analysis” conducted atCollege of Engineering(CEG), Anna University during 12th-13th Apr 2013. Workshop on Basic Webpage Designing with Database Connectivity at Sri Krishna College ofTechnology, on 3rd Oct 2013. National Level Conference on Excellence in Advanced Computing Technology(EXACT )held on9th April 2010. Two days workshop on “Writing Effective Conference Paper” organized by IIT Bombay, during18-19th February 2012. Two days CSIR Sponsored National seminar on “Emerging Issues and Challenges in Cyber Security “atVLB Janakiammal College of Engineering and Technology, Coimbatore during 29th -30thSeptember 2011. CSIR Sponsored Two Day National Level Workshop on “Internet Engineering and Web Services”on 29th and 30th July 2010. DRDO Sponsored National Seminar on “Security and Privacy Issues in Defense Networks”during 20th Jan 2012 , and 21st Jan 2012. G. Madhumitha, R. Srividhya, Joe Johnson and D. Annamalai, “Physical Modeling and Control of Self – Balancing Platform on a Cart”, IEEE Xplore 2016, ISBN 978 – 1 – 5090 – 3342 – 3. Joe Johnson, G. Madhumitha, NiyasYousuf and ShyamHarikrishnan, “Design, Development and Fuzzy Logic Based Control of a Remotely Operated Underwater Vehicle”, IEEE Xplore 2016, ISBN 978 – 1 – 5090 – 5203 – 5. R.Ranjani, M. Nandhini and G.Madhumitha, "Design and Development of Library Assistant Robot," International Journal of Advances in Engineering Research, 10(4), 2015. G. Madhumitha, R. Srividhya, Joe Johnson and D. Annamalai, “Physical Modeling and Control of Self – Balancing Platform on a Cart”, International Conference on Robotics: Current Trends and Future Challenges, RCTFC, 19 & 20 December, 2016, SASTRA University, Thanjavur. Joe Johnson, G. Madhumitha, NiyasYousuf and ShyamHarikrishnan, “Design, Development and Fuzzy Logic Based Control of a Remotely Operated Underwater Vehicle”, International Conference on Robotics and Automation for Humanitarian Applications, RAHA, 18 – 20 Decemeber, 2016, Amrita University, Kollam. G. Madhumitha, M. Vedhachalam and A. Jothlingam, “Mathematical Modelling of a Remotely Operated Vehicle and Simulation of its Performance in MATLAB/SIMULINK”, 3rd National Conference on Emerging Trends in Design, Thermal and Manufacturing, ETDTM, 18th April, 2013, Saveetha Engineering College, Chennai. G. Madhumitha, S. S. CharuChitra and Durga, “Green Computing”, National Conference on Nascent Technologies in Signal Processing and Communications NT – SIPCOM, 17 – 18 March, 2011, Anna University of Technology, Tiruchirappalli. With M. Nandhini and R. Srividhya, “Development of Mixed Reality Interface for Interactive Laboratory”, project under Selective Academic Excellence Initiative, SRM Institute of Science and Technology (formerly known as SRM University). One day workshop on “Recent Trends in Renewable Energy Sources”, SRM Institute of Science and Technology (formerly known as SRM University), Chennai, 21st July, 2017. Two day workshop on “Software Tools for Machine Vision”, SRM Institute of Science and Technology (formerly known as SRM University), Chennai, 26 – 27 October, 2015. Two day workshop on “Emerging Trends in Mechatronic Systems”, Madras Institute of Technology Campus, Anna University, Chennai, 6 – 7 March, 2015. One day workshop on “Model Based Design of Mechatronics Systems using Simulink”, SRM Institute of Science and Technology (formerly known as SRM University), Chennai, 2nd January, 2015. Two day workshop on “MATLAB and Simulink for Robotics”, SRM Institute of Science and Technology (formerly known as SRM University), Chennai, 30 – 31 December, 2014. Resource Person for the Faculty Development Programme on “Mobile Robotics”, SRM Institute of Science and Technology (formerly known as SRM University), Chennai, 20 – 24 June, 2016. Organizer of National Conference on “Mechatronics Technologies and Future Challenges, NCMTFC”, 31st March – 1st April, 2015. Resource Person for the One day workshop on “Model Based Design of Mechatronics Systems using Simulink”, SRM Institute of Science and Technology (formerly known as SRM University), Chennai, 2nd January, 2015. Conducted Two day workshop on “Line Follower Robot”, as a part of EXPRO 2013, a National Level Technical Symposium, Madras Institute of Technology Campus, Anna University, Chennai, 23 – 24, March, 2013. Teaching at SRM Institute of Science and Technology (formerly known as SRM University) from June, 2013 to till date. Member in Indian Science Congress Association (ISCA). Secured Gold Medal in M.E. Secured Department First Rank in B.E. Attended Special Mountaineering Camp in Nehru Institute of Mountaineering, Uttarkashi. Secured Educational District Second Rank in Higher Secondary Examination. Secured Educational District First Rank in SSLC Examination. Secured Young Scientist Award (2003) from National Children’s Science Congress. Affiliation: School of Law, Faculty of Science and Humanities, SRM Institute of Science and Technology (formerly known as SRM University), Kattankulathur. Analysis of soret effects on unsteady MHD mixed oscillatory flow through a porous medium International Journal of Engineering, Science and Mathematics Vol7. Issue 2, February 2018, ISSN: 2320-0294 Impact Factor: 6.765. Participated in National seminar on “Recent trends in fluid mechanics” held during March 14-15, 2012 at Sri Venkateswara University, Tirupati. Presented a paper “MHD thermal convective flow through a horizontal wavy channel maintained at non uniform temperature” in National seminar on “Mathematical modelling in fluid dynamics” held on March 24, 2012 at Sri Venkateswara University, Tirupati. Participated in National work shop on “Recent trends in mathematics and its applications” held on March 28, 2012 at Yogi Vemana University, Kadapa. Presented a paper “Induced magnetic field effects on free convective flow of radiative, dissipative fluid past a porous plate with temperature gradient heat source” in National conference on “Recent developments in mathematics and its applications” held on January 29, 2014 at Sri Venkateswara University, Tirupati. Presented a paper “3-Dimensional mixed convective mass transfer flow with magnetic and chemical reaction effects along a vertical porous plate” in 2nd International conference on “Applications of fluid dynamics” held during July 21-23, 2014 at Sri Venkateswara University, Tirupati. Ramasamy Padayachiyar Endowment Award in M.Phil. Gopinathan P, Mohan S P & Magendran T 2015, Spectral remote sensing and digital processing of satellite images for characterizing the iron ores of Kanjamalai, Godumalai and Nainarmalai, India - A case study’, International Journal of Science and Research (IJSR), Volume 4, Issue 4, pp. 3125-3130. Gopinathan P, Mohan S P & Magendran T 2015, Structural, Mineralogical and Ore Grades of Banded Iron Deposits of North-Western Tamilnadu, South India - A Comparative Study’, International Journal of Emerging Technology and Advanced Engineering, Volume 5, Issue 3 . pp. 78-83. Magendran T & Sanjeevi S 2014, 'HYPERION Image Analysis and Linear Spectral Unmixing to Evaluate the Grades of Iron Ores in Parts of Noamundi, Eastern India' International Journal of Applied Earth Observations and Geoinformation, Elsevier publications, vol.26, pp. 413-426. Magendran T & Sanjeevi S 2013, 'A Study on the Potential of Satellite Image-derived Hyperspectral Signatures to Assess the Grades of Iron ore Deposits' Journal Geological Society of India, vol.82, pp. 227-235. Magendran T, Sanjeevi S & Arya K B, 2011, 'Hyperspectral radiometry to quantify grades of iron ores of Noamundi and Joda mines. Eastern India', Journal of Indian Society of Remote Sensing, Springer publications, vol-39, pp. 473-48. Magendran T & Sanjeevi S 2011, 'Assessing the Grades of Iron Ores of Noamundi, India by Ground Based Hyperspectral Remote Sensing', International Journal of Earth Science and Engineering, Cafet Innova publications, vol-04, no. 8, pp.07-16. Magendran T and C. J. Kumanan, "Remote Sensing and Geographic Information System based study of Land Suitability Analysis in coastal domains of Pudukkottai District, Tamilnadu, India", - under review in the International Journal of Geomatics. Sarbani Saha & Magendran T, 2015, A preliminary study on the potential of multispectral, hyperspectral remote sensing and GIS for dynamics of coastal ecosystem of Pichavaram, Tamil Nadu, Proceedings of the World Ocean Science Congress, held at Kochi, India. Magendran T & Sanjeevi S, 2014, ‘Processing and analysis of Hyperspectral fingerprints to characterise Heamatite of Singhbhum iron ore belt, India’, Proceedings of the ISPRS Technical Symposium VIII, held at Hyderabad, India. Magendran T & Sanjeevi S, 2014, ‘Statistical and neural network analysis of Hyperspectral radiometric data to characterise Heamatite of Singhbhum iron ore belt’, Proceedings of the 9th SPIE Asia-Pacific Remote Sensing Symposium held at Beijing, China. Magendran T & Sanjeevi S 2011, ‘Hyperspectral radiometry to estimate the grade of iron ores of Noamundi, India-A preliminary study, proceedings of the 31st Asian Conference on Remote Sensing (ACRS)’, Taipei, Taiwan. Magendran T & Sanjeevi S 2013, ‘Spectral sensing – a tool to characterize iron ores as a raw material for steel industries’, proceedings of the International Conference on Engineering Materials and Processing, Chennai, India. Magendran T & Sanjeevi S 2014, ‘Laboratory based hyperspectral signatures to characterise iron ores of western Singbhum iron ore belt, India’, proceedings of the National seminar on Remote Sensing and Environment, 20-22 March 2014, Jadavpur University, Kolkata, India. Magendran T & Sanjeevi S 2012, ‘Processing of Hyperspectral image-data for quantitative assessment of iron ores in parts of Noamundi, India’, proceedings of the National conference on Signal and Image Processing, Feb 2012, Gandhigram Rural Institute – Deemed University, Tamil Nadu, India. Magendran T & Sanjeevi S 2012, ‘An Integrated approach to Land Suitability Evaluation in parts of Pudukottai District Using Remote Sensing and GIS’ proceedings of the National conference on Emerging Trends in Civil Engineering, Feb 2012, Roever College of Engineering and Technology, Perambalur, Tamil Nadu, India. Magendran T & Sanjeevi S 2011, ‘Hyperspectral image-data processing to assess the grades of iron ores in parts of Noamundi, India’ proceedings of the Annual convention of ISRS 2011, Bhopal, Madhya Pradesh, India. Magendran T & Sanjeevi S 2011, ‘Assessing the Grades of Iron Ores of Noamundi, India by Ground Based Hyperspectral Remote Sensing’, proceedings of National Conference on Development and Sustainability of Earth Resources & Environment (DSERE 2011), AN University. Andra Pradesh, India. Magendran T 2005, ‘An Urgent Need of Geology Curriculum in School Education’, proceedings of the National Symposium on GEOFES-06, Anna University, Chennai, India. Participated in National seminars on Geohazards/Natural Hazards conducted by Department of Geology, University of Madras, Chennai-25 in September 2005. Participated in National conference on Disaster Mitigation and Management Using Space Technology organised by Centre for Remote Sensing, Bharathidasan University, Trichy-23, during 27 & 28th March 2006. With Sanjeevi S, Predictive modeling of the iron ore grades using hyperspectral and geochemical parameters. With Sanjeevi S, Rapid assessment of iron ore grades by visible and infrared spectral measurements - a case study in India. Coordinated and organised two day national workshop on “Recent Advances in Satellite Image Processing and Applications (RASIP-2014)” during 15-16 September 2014 at SRM Institute of Science and Technology (formerly known as SRM University), Kattankulathur. Attended two day workshop on ‘Advances in Image Processing and its Applications’ held during 24th & 25th January 2014 at Anna University, Chennai. Attended one day workshop on ‘BIG Data Analytics’ held during November 2014 at SRM Institute of Science and Technology (formerly known as SRM University), Chennai. Attended one day workshop on ‘MATLAB Programming’ held during March 2015 at SRM Institute of Science and Technology (formerly known as SRM University), Chennai. Attended two day workshop on 'Advances in Image Processing and its Applications' held during 24th & 25th January 2014 at Anna University, Chennai. Project Assistant - Anna University in a consultancy project entitled “Landuse/Landcover Mapping using Remote Sensing and Field Studies around BARC Mysore.” - Funding agency -MECON Limited, Bangalore. Recipient of Travel Support Award June, 2012 - Council of Scientific and Industrial Research (CSIR-HRDG). Recipient of First Price Award, ETCE-2012 - National conference held at Roever College of Engineering and Technology, Perambalur, Tamil Nadu. Recipient of Best Paper Award, ACRS-2011 - International conference “Asian Conference on Remote Sensing 2011” held at Taipei, Taiwan. Recipient of Rolta Special Award - 2009 appraisal period in the ROLTA INDIA LTD, Mumbai. 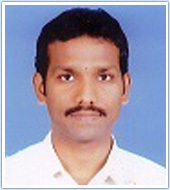 University Gold Medalist, 2008 in M.Tech (Remote Sensing and Geoinformatics), Bharathidasan University, Trichy. Affiliation: Department of Oral Pathology, SRM Kattankulathur Dental College, SRM Institute of Science and Technology (formerly known as SRM University). Fungal Osteomyelitis – A report of 2 cases- at National conference of Oral Pathology 1999 at Bangalore. Biopsies in Clinical practice- at ISDR Conference 2010 at Chennai. Association Of Oral and Maxillofacial Pathologist. Recipient of the Gold Medal Award for the continuous 10 years of service at Sri Ramachandra University. Received the National level Best histopathology photography award at the 20th conference of Indian Association Of Oral and Maxillofacial Pathologist. Received cash prize and merit certificate for the contribution done towards textbook publishing and research articles in Sep’2012. “ Textbook of Dermatopathology” by Dr Premalatha, Professor Emeritus, Dept of Dermatology, Sri Ramachandra Medical College & Hospital, SRMC & RI, Porur, Chennai. Chaired scientific sessions at various National and International conferences. Undergraduate and Postgraduate examiner for the NTR University, Rajiv Gandhi University, TN Dr. MGR Medical University, Saveetha University, Meenakshi University, Bharath University. Recipient of the 10 year continuous service award at the Ramachandra University.